Welcome! We both recently quit our jobs to run our online business full time and it all started with the steps we are going to show below. Simple so that even beginners will understand, but with plenty of detail to answer all of your questions. Most people will be able to complete this within 1 hour. Then you will be all set up. We have completed these steps numerous times so we know the best and easiest ways to do this. We will make sure it's always up to date so that the steps are always relevant and not out-dated. Let's Get Your Website Launched! To encourage you and to help you see that blogging full time is possible, we wanted to share a little bit about our story. We are just two average people that both had a dream to work full time for ourselves in something we were passionate about. In 2012, Josh started a website with a $300 investment and no technical skills (he still has very little today!) in 2012 called What Christians Want To Know based on a passion of his. He did this on the side, while working a full time job in the insurance industry. What Christians Want To Know has grown to reach over 2.5 million people per month, and along with other Christian websites, has allowed Josh to do this full time while more than replacing the income he was making in his “real world” job. Josh's best tip for you: Blog about something you are passionate about. If something is exciting to you, it will come through in your writing and your website. When you are passionate about something, it is much easier to stick with the ups and downs that will come with running the blog. Corey started a website called Christian Quotes while working full time in the marketing field. Christian Quotes has grown to over 3 million Facebook fans, and along with other websites, has allowed Corey to be his own boss and do this full time. Corey's success came after two previously failed websites (the third time's the charm!). Corey's best tip for you: Get started and keep at it! Your first idea for a website may not be the one that is a success but as long as you learn something from the failures, you will have a better chance of success at the next one. Just get started and don't be afraid about the website being a failure. I failed with two websites to get started but now I am working as my own boss doing what I love. We are so grateful and blessed to be able to work full time with something we are passionate about so we wanted to share what we have learned. Many people have asked us how to get started, so we created this article as a step-by-step beginner’s guide to getting started. It takes a lot of work to get to the point of making a blog or website a full time income but we live in a world today where ANYONE with hard work can start a website or a blog and make money. It might start off as just extra side income but it can blossom into a full time job like it did for us. It used to be that businesses were mainly local but in today’s world you have access to reach people all over the globe. There is no day like today to start your dream! We hope you have as much fun as we have. We don't want this article to be the last time we help you, though. So if you want more tips and ideas from us in this new journey you are taking, sign up below and we will stay connected with you. We will also send you all the great bonuses we talk about in the guide. We respect your email privacy. We will never give out your email address. Note: Some of the links we provide in this guide are affiliate links. What that means is that when you click on them we are compensated a portion of what you purchase. However, there are 2 very important items to note here. 1.) You are not charged more for these products. Our commission comes out of the profits of the companies you purchase from. 2.) Our recommendations are based 100% from our experience and not based on the fact that we get paid from them. We use the affiliate links to help fund this website and be able to update this page regularly. If you decide to purchase anything that we recommend, we would greatly appreciate you using our links to do so. What is a Domain Name and Why Do You Need One? A domain name is the part of a website name that comes after “www.” It's your "piece of land" on the internet that you own and nobody else can take it, unless you sell it. If you don't have a domain name, you won't have a place for your website to "live." It would be like buying your home but never having land to put it on. You have no use for a house if you can't put it somewhere. Make it Memorable - It's important that people will remember your domain name so it's easy for readers to remember in the future. The best way I have heard this put is, think about your domain name being said on a radio commercial. If you advertised your domain name on the radio, would people remember it a few hours later when they are in front of their computer? Make it Short - Try to keep the domain name to 3 words or less, if possible. Domain names are harder and harder to pick up because there are so many website so this could be hard, depending on what your website will be about. Easy to Spell - Try to avoid complicated words, or made-up terms that are hard to spell. It's OK to be creative, in fact it might be necessary to be creative, but it should still be easy for people to type out. Almost always try to get a ".com" domain name - It's the easiest domain type for people to remember. If you get a domain that is "YourWebsite.net" and tell someone about it, a day from now they might go to their computer and type in "YourWebsite.com" because we are all so used to Dot-Coms. Don't Use Hyphens or Numbers - hyphens and numbers make the website harder to remember. Very few websites use hyphens in their domain names and so people are not used to typing them in. Numbers make it harder for people to remember verbally and makes it more likely that someone types your domain incorrectly into their browser (i.e. - they might type “five” instead of “5”). What About Your Name? - If your website is going to be built around you and your personality, use your name if it meets most/all of the tips above. Not only is it likely to be available, but it's a great domain to build "your personal brand". Picking a domain name can sometimes be easier than finding one that is available. Your first choice is not likely to be available so it's good to have a quick way to search and see if it is. 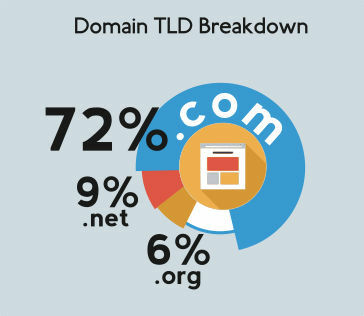 Below is a really easy tool to see if your domain idea available. When you find a domain that is available, move on to step 2. We will walk you through how to purchase it and get it for free. By following the steps below you can get your domain name for free, with no initial investment, but keep in mind that you will have to a $10-$15 fee every year after that. Hosting is the term used for storing your websites files on a server. You wouldn't likely want to own a server so you rent the server space from a hosting company. They store all the files associated with your website and when someone enters your domain name in their browser the host shows your website to them. 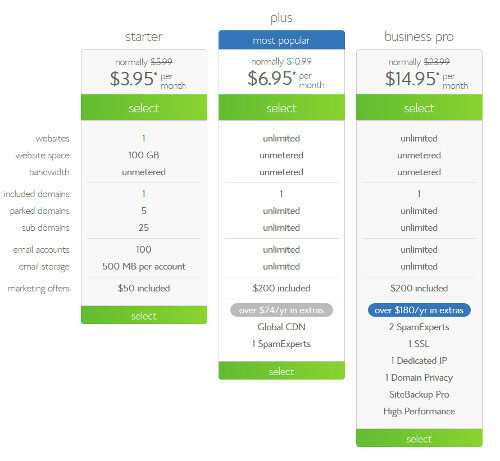 Hosting is required in order to have a website but luckily it's not that expensive. Because you are just starting, there is only one place we will recommend: Bluehost. They are the best hosting company for new websites because they have really good customer support, they are most reasonably priced, and they make it really easy to do what you need to do. The interface they use is the best for beginners. We use Bluehost for some of our websites because of the low cost and how easy they are to use. When your website starts to get a lot of traffic, you can always switch to a new host if you find that your website is becoming slow. Until then, don't waste your money with more expensive hosts. 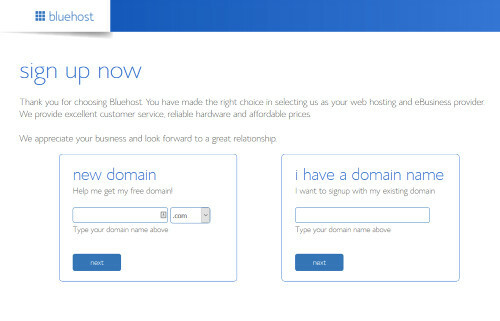 The good thing about Bluehost is that a domain is included in their package for free. Choose a plan - You will likely be OK with the starter plan since you are just getting started. Plus, you can always upgrade at any time. The next page will have you set up your password. Click the "create your password" button. Create your password, click the "I confirm..." checkbox, then click "continue"
This will take you to your dashboard (it will look similar to the screenshot below) and now you have a domain and hosting purchased. Technically speaking, WorldPress is a content management system (CMS) but in simple terms, it is the backbone of your website. It is the initial system that you need to download to start creating your website. With WordPress installed you don't have to worry about all the coding needed to create a website. It is the most popular and most widely used CMS, so there are lots of free add-ons that will create additional functionality to your website. If you want your website to do something, there is likely an add-on that you can find for free. Log-in to your Bluehost account. 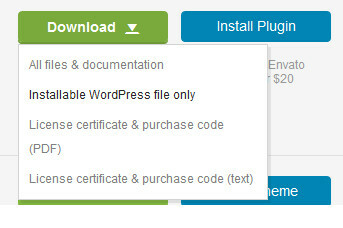 Click the "Install WordPress" icon. Click the "Show advanced options" check box and enter your site name, your username for your website ("Admin Username"), and your password for your website "Admin Password"). Make sure to have the "automatically create a new ..." option checked. Read the terms and conditions and then click "Install now." You will then be taken to some pages with different offers. Just click "no thanks" to all of these. On the next page, under "Alert," you should see "Your WordPresss Install is finished!" Click "View" to the right of that. On the next page you will see your admin URL. This is where you will use your username and password to login to the admin side of your website. Make sure to remember your username and password. Your login page will always be easy to remember. It is YourURL.com/wp-admin. So if your website URL is Example.com, then your login page would be Example.com/wp-admin. While we are at this point, go ahead and log in for the first time by going to YourURL.com/wp-admin and entering your username and password. We will work in the admin side of the website more in the next steps so no need to worry about anything else right now. What is a Theme and Why Do You Need It? A theme (or sometimes called a template) is what makes up the look and design of your website. Back in the "old days" if you wanted to create a website, you would have to create it from scratch, which would cost thousands or require you to learn programming. With a theme, the developer has done all this for you and in order to make it worth their time, they sell the theme to multiple people. But because of the functionality the developer typically builds into the theme, your website will not have to look like everyone else's that have purchased the same theme. Themes usually cost about $60. There are free options but we recommend avoiding them. More on that next. We have experience with both free and paid themes and we will never use a free one again. Paying for a theme is one of the best things you can do. They already look professional and most of them are supported by a team that will answer questions for you. This allows you to customize the template to your needs. Plus, many "free" themes come with very basic functionality but if you want it to do more, you have to pay for it and in some cases may pay more for it, compared to just purchasing a theme in the beginning. The last major advantage is that paid themes are continually updated to fix bugs and security holes. You will not get this with free themes. Once you find the theme you like, take note of the name and follow the instructions at the bottom of this step to install it. We have used a few different places to purchase themes from. The best place is Themeforrest because it has thousands of templates to choose from; also, it's the best website for researching the themes. Each theme has a live demo so you can see it live, and not just as an image. Each theme also has reviews so you can see what past purchasers say about it. 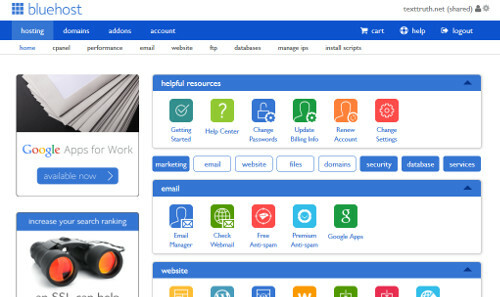 We have also used Elegant themes but we typically only recommend them for people who are going to have multiple websites and need to purchase multiple themes. They cost more but make more sense when you have a lot of websites because you can pay a one-time fee for access to multiple themes and unlimeted use. Over time this will bring your cost per theme down. Let's look at the "Avada" theme as an example. It's the #1 selling theme of all time. This does not necessarily mean this is the right theme for you though, so don't click the purchase button just yet. We are just going to use it as an example. Click here to see the Avada theme sales page so we can walk you through this. All the themes will have the same type of sales page so all of this will apply for every theme. Live Preview - Click the "Live Preview" button (I have an image for this). Now you can see what the website will look like if you buy it. Most themes will have multiple options for things so take a look around the preview to see what options it has. Make sure it's the type of look you want for your website. Number of Times Purchased - Make sure the theme has been purchased quite a few times. If there have been multiple purchases, then you are more likely to avoid bugs, which have gotten worked out in the first websites that have used it. Another way to reduce bug risks is to make sure that the theme is not on version 1.0. Reviews - Look at the reviews and make sure it has at least 4.5 stars. All themes are going to have some bad reviews so do not concentrate too much on just one bad review unless it's a complete deal breaker for you. You can also read the written reviews if you would like and see if there is anything negative that is showing up multiple times. Responsiveness - The theme you choose should be responsive. What this means is that your website will look good on any type of device (desktop computers, phones, and tablets). This is a must and if a theme is not responsive, you should not buy it. Luckily, this is becoming standard for themes so you will likely not find many themes without responsiveness but it's so important that it's worth mentioning here. Features - All themes have different features. It's important that the theme you choose has the features you need, but keep in mind that each additional feature will likely cause your website to be slower. So it's important that you not pick a theme that has a lot of extra features that you will not use. Did you find a theme but it doesn't quite have all the features you want? Remember that one of the greatest things about WordPress is the 1,000s of add-ons (called plugins in WordPress) that are available. If you find a theme that has almost everything you want but is missing one or two features, look to see if there is a plugin for it. You might be able to use the theme you found and add in the plugins after you install the theme. What theme are we using? ChristianWebsite.com uses the Nimble theme from Elegant themes. It's lightweight so it's quick but we also did not need a lot of features. Would you like it for free? Just sign up below and we will send you this one and another for free. Sign up below and we will send you the Nimble and Divi themes for free. These are the full paid versions of the themes but we paid a larger fee so that we have the ability and permission to send you the full themes for free. 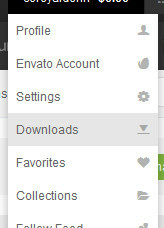 Click on your username in the menu bar at the top, and then click "Downloads"
You will see your theme here. Click on "Download" and then click "Installable WordPress file only"
You will be redirected to a page and once it says "Theme installed successfully" you will know it was successful. Then click the "Activate" link. A logo is the one way that a visitor will know how to distinguish your website's brand from the many other websites they see every day. It's important that you stand out in a crowded internet so you can gain a following. The likelihood of you turning a visitor into a follower on their first visit to your website is not high. Turning them into a follower typically takes multiple visits. How many visits it takes varies, but the more distinguishable your brand, the less visits it will take and the less likely you lose them forever. Professionally designed Logo or Do it Yourself? We advise against doing the logo yourself. It's important that your logo look professional and unless you are a designer, your logo will probably not look professional. An unprofessional logo gives a bad first impression to a visitor and may imply to a visitor that you're not serious about your website. Plus, to get a good logo done these days will not cost that much. More on this next. We have used two places to design our logos for us. The two we have tried have been Freelancer and 99designs. You can get a get a good logo done on Freelancer for $50-$100. On 99designs you will pay $299. We have received slightly better results on 99designs but in most cases, it's probably not worth the extra cost. Check out our case study below to determine what you think is the best option for you. Both of these websites work about the same. You start a contest, give a general description of what your website is, general idea of what you want your logo to look like, and then let the contest begin. Freelance designers will then compete with each other to win the contest. Along the way, you rate the logos and give feedback so the designers know how to improve the logos. At the end of the contest (typically about a week), you select the winner. They get paid and you get the logo. In your contest description we recommend giving some ideas of color, whether you want the design to be more masculine vs. feminine, modern vs. classic, and whether you want the logo to be more typographic or more of an image. Find some logos you like by doing an image search on Google for "Logo ideas," "Logo inspiration," "Good logos," etc. Save some of you favorites and use them as examples of what you like. This will really help the designers. For your benefit, we had the ChristianWebsite.com logo designed on both sites. We ended up going with the 99designs logo but you can determine if you think it's worth the extra cost. In the menu, hover over "Hire Freelancers"
Under "What work do you require? ", select "Design"
On the "Select a job" drop down, select "design a logo"
In the "Describe what you need in detail" box, give as much detail about what you want, as you want. Use the pointers above if you would like but the designers can work with as little information as you can give. Edit the budget. We recommend $100 because that is the lowest we have gone while still getting good results. You can go lower but you risk not getting good results. The only add-on (under "promote your contest") we recommend to add, is the "Guaranteed" add-on. It helps get good results and it's free. Keep in mind that you will have to pay your contest fee, even if you don't like any of the logos. We have never been unsatisfied with any of ours so the risk is low. Click "Get entries now" and you will start to get entries quickly. Make sure to check back at least once a day to give feedback. After the contest is over, select the winner and they will send you the logo. In the menu click "Contests" and then click "Launch a new contest." Go through the next few steps that 99Designs walks you through, selecting example logos you like, the general look you want, colors you like, and all the other details required for your logo. Be as specific you can but keep in mind that the designers can work with whatever you give if you feel that you are not being descriptive enough. You can go with the $299 package or move up to larger package to get more entries. In our case study above we used the $299 package and we were happy with the results so we have never tested any of the larger packages. We did not purchase any of the add-ons either. Make sure to come back at least once a day to give feedback on the designs. After a few days, you will be required to select a few of the designs that you like most and continue with those. Those winning designers will then improve their design based on your feedback. Once the contest is over you will select a winner. 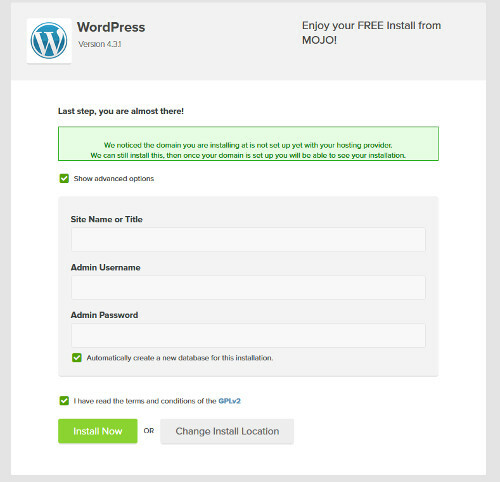 In this section we will walk you through how to use WordPress. When you first log in you may feel a little overwhelmed with all the options, but after this section you should feel comfortable with the basics and will be ready to start writing your first blog post. There are seven main sections to WordPress that everyone needs to understand. WordPress can do much more than what we will cover here, but these are the basics and we include everything you need to know to run your website. So let's get started by logging into the backend of the website. 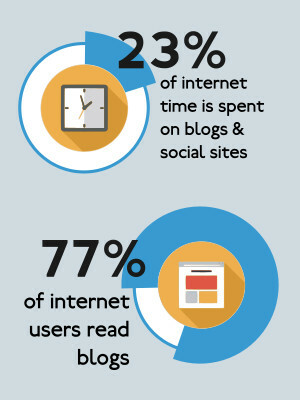 A post is the most common use of WordPress. It is what you will use to publish your blog posts. A page is similar to a post, but will be used for pages on your website that are not blog posts (i.e. your "about" page, contact page, or any other page that is not a blog post). By default, WordPress allows for comments on posts. This is the area where you will moderate any comments that come into your posts. The most common use of the appearance section is to edit your sidebars and menus. Depending on the theme you select, you could have just one or multiple menus and sidebars to edit. As stated earlier in this guide, plugins help you get additional functionality out of your website. There are thousands of them but they all get downloaded the same way. Sign up below to receive our favorite plugins. They might not all be a fit for your specific website, but it will help you get started. To add a new user you need to at least add a username and email. If the user is going to be writing on your blog, make sure to add a first and last name, if you want them to get credit for the article. Click "Add New User" and they will be sent an email with their username and password, as well as a link for where to log in. This is where you will edit the basic settings of your website. These are self-explanatory so there is no need to go into detail here except for one recommendation we have: In settings > Permalinks we recommend that you use "Post name". If you use the default, your first article's URL will look something like this "www.YourWebsite.net/?p=123". But if you use "post name" your URL will look like this "www.YourWebsite.net/article-title". Not only does this look better but it is typically better for SEO (more on SEO in a later section, but this is important to do.). Your theme also has different settings you can edit that will be specific to it. The options you have and where you go to edit them will vary by theme. Typical settings that you can edit would be things like uploading a logo, choosing color combinations, picking a font, etc. There are typically 2 main places you will find these. There will be a menu item either under “appearance,” or a main menu item listed near the bottom of the sidebar. This is the section you might be tempted to skip or skim quickly because if you want to start a blog you think you have this part figured out. Right? You are passionate about what you want to tell the world and this is a good thing BUT don’t be tempted to skip past this important section. How you create your content is the most important way to get found by search engines. This in turn will allow many people to find the blog you have put so much effort into creating. The title of your article or post will be the most important part of driving traffic. When titling an article you need to determine if your main source of traffic is going to be the search engines or through social media. The articles and posts that you should gear towards search engine traffic are the articles that have topics that won’t change much over time. These are called “Evergreen” content and is a great strategy for driving traffic to your website or blog. For these types of articles you want to title your article pretty closely with what people will type into the search engines when researching the topic. If you get too creative in your titles the articles will be hard to find in the search engines. When driving social media traffic the title must be attention grabbing. Lists or shocking statements work well for this type of traffic. These titles need to be creative to pique the interest of someone that is not specifically searching for the topic that you are writing on. Use these types of titles on articles that have a shorter life to them and are not “Evergreen”. Writing online is not the same as writing a book. People reading an article or blog post online often have a shorter attention span and you need to know how to make your article attention grabbing and useful to them. Use your opening paragraph to grab the attention of your audience. Also make sure to explain what they will find in the rest of the article. If it isn’t clear to the reader what to expect in the rest of the article you might lose them at this early stage. Online readers are less patient with what looks like a long cumbersome read. They like to see sub-headings throughout the article which will help the article to look more readable. The sub headings also make it easy for people that might not be looking to read the whole article so they can quickly find the heading they are interested in. Write to the level of the audience you expect to read the post. If you are writing to someone that is highly educated on the topic you are writing about, you can write in more detail than if you are writing to someone just learning about the topic. In general, try to keep the article readable for several age groups and education levels to appeal the most people. In the world of the internet you are likely not going to write on a topic that has not been written on before. In order to get noticed you need to create a new angle or more appealing version of what has been written on before. I have heard many call this “epic” Content. When creating epic content do some research on what is out there on the topic you want to write on. Create your article in a different, unique way. This could involve the design of the article page, formatting of the article itself or the depth of your coverage of the topic. Create your own voice to make your content epic. Just making a lengthy article with facts does not make it epic. Making it epic would be to put your voice and opinion into the piece. If your voice and personality come through in the post it makes it much more interesting and engaging to read. This connection with the audience will cause them to share the article with others. Our intention in writing this post was to take all that we have learned and create a post that is so helpful and epic that it's used and shared a lot. How did we do? Will you be sharing? Images are almost always a must-have on websites because they help draw some attention, visually represent what you are explaining, and/or help break up a page that might be very text heavy. However, please be aware that you cannot use just any image you want. Almost all images are protected with copyright and there is a rise in the number of people getting sued for using them unlawfully. Keep yourself protected by only using images you have the rights to. There are two ways to do this. Purchase the rights to use them - This is the only way we get our images now because it's the easiest and safest way to do it. We use 123rf to get all of our images because they have such a huge database of professional images and it does not cost that much, especially if you buy in bulk. Use Creative Commons images - Creative Commons images are images that photographers give permission for other people to use freely (although there may be some restrictions on use) if you give credit to the owner. We no longer use Creative Commons images because it's more time consuming to find and there are not as many professional images. The advantage though, is that you can use them for free, if you follow the requirements of the Creative Commons license. Please do your own research before using them though, because we are not lawyers and cannot give legal advice. Here is a place that explains this is better detail than we can. There are endless opportunities for monetizing your website but we will cover 4 of the most widely used and successful methods to get you started. Which method works best is going to vary depending on the website, so the only real way to know what is going to work best for you is to test them out. The most widely used monetization method used on websites, banners, can be a great method but it's important to get the placements correct in order to maximize the revenue generated. It can take testing to figure out the best locations so that they get clicked most frequently but also don't make your website look to "advertisy" and drive away readers. The placement that works best will vary depending on your website but some of the best locations are typically within the article text and somewhere right before your article starts. The way affiliate sales work is you get paid when the visitor clicks on your ad and then purchases a product or service after clicking on the ad. What you get paid depends on what you are advertising. Typically you will get paid between 5% and 20% of the purchase price but it can be as high as 50%. You can advertise affiliate products with banners or text links. The way that you get credit for the sale is by using a unique link that will be given to you when you sign up for the affiliate program. These types of promotions usually work best by trying out the product first and then giving an honest review about them. An example of affiliate links are some of the links we have here. Some of the products and services we have on this page are affiliate products (it's how we are able to invest our time and money into keeping this page updated so if you are going to purchase any of the products, please do use our links. We would greatly appreciate it.) The best part about affiliate products is that the visitor that clicks on the links will not get charged extra. The money you get from the affiliate sales is taken out of the profits of the owner of the product. This will depend on what your website is about and what you are interested in. The most common products to sell are books, shirts, and courses. Books - You can sell eBooks and hard copy books through Amazon. Amazon gives you access to a lot of tools to be able to easily take your writing and start selling them. After you upload your book and publish it, Amazon handles everything else. You can get started with ebooks on KDP and hard cover books on CreateSpace. Training - You could sell some sort of training. For example, if you have a great method for memorizing Bible verses, you could create training material for this and sell it to your visitors. The possibilities are endless. This will really depend on what it is you decide to sell but we have one big suggestion. Try to sell a product or service that does not require you to build another business to do it. For example, if you decide to sell shirts, don't start making and shipping your shirts to save some money. If you want your website to be successful, concentrate your efforts on the website and utilize companies like TeeSpring so you are investing very little time in anything besides your website. If you are able to gain a large number of repeat readers and people believe in what you are doing, they may be willing to donate to your cause. The best way to get started with this is to start a PayPal account. Once you do that, they have an option to create a donate button that you can place on your website. Keep in mind that this method will likely require you to get some loyal fans or have a cause that people really believe in, so it's not something that will have a high success rate at the start of a website. You should also get advice from an accountant if you are accepting donations so that you follow the correct protocol in reporting the donations. If your website is going to be centered mostly around your writing, we recommend that you get started with banners first. They are easy to implement and they will likely be the best method for you as you start. But if your website is going to be centered more around a service or product that you want to sell, do not use banners and concentrate your promotional efforts to your product or service. There are 5 main strategies to growing your blog but keep in mind that none of these will work unless you create good content that visitors like and/or find useful. There are advantages and disadvantages to them all and so some combination of all of them will be important. This is going to be a brief overview of all of them but you will want to do more research on each one before you get started. Social media has been the cause of some websites' quick rise to fame and profits so it has potential to have a large impact on your growth. However, the more realistic goal of social media is likely a slow and steady process. Use the following you have to help you grow and attract more followers. What social media sites you use, will depend highly on what your website is about. Facebook is the one that everyone should be on. It does not necessarily have to be one you focus on, but make sure to have a presence by starting a page. The other social media sites you join however, will vary by website. For example, if you have a lot of great unique images, make sure you are on Instagram and Pinterest. Those are places where images are the focus. Instagram is a more younger generation user base and Pinterest is more of a women user base. So keep those things in mind when trying to decide which one to focus on. Other places to keep in mind are Twitter and Periscope. Periscope is the newest up and coming social media platform that is great for people that want to show their face and talk live with their following. It is a great way for your audience to connect with you and can really help you grow a base of dedicated followers. On a similar note, make sure that it is really easy for your visitors to share your content on social media sites by adding social share buttons on your website. There are plenty of WordPress plugins that will make this easy for you to do (more on our favorite plugins later in the last section). This gives you a better chance of being found and is one of the best free "advertising" strategies. People want to share good content so if you create good stuff, people will share it and will help you be seen by more and more people. Email marketing is a term used for sending email as a marketing strategy. For most websites/bloggers the most common use will be to send a weekly/daily newsletter. The email could be made up of recent blog posts you have published on your website or content that you share only to people on your email list. No matter what it is that you send, your goal it to use this list to grow a following. The key to email marketing is to convince visitors to sign up for your list so that you have permission to email them. This could be as simple as telling the visitor that you will email them when you have new blog posts. If you make a great first impression on the visitor, that might be enough but it's likely that most visitors will need more incentive than that. You can also create some piece of content that you give away but the only way the visitor gets it is if they sign up to your email list. This strategy can work, but you need to keep the reader interested in your writing by continually delivering them with content they enjoy. If you send them emails they do not like, they will just unsubscribe and then you can no longer email them. Not implementing email marketing on a website is the biggest mistake a lot of bloggers make. Email marketing is the most important strategy and almost all the experts will agree with us. It is the most effective way for you to stay connected with your audience and turn a visitor into a follower. If you do not capture a visitor's email address, they are very likely to leave your website and never come back. But if you convince them to sign up for your email list, you now have their permission to tell them about all your new blog posts and you are more likely to turn them into a dedicated fan. To get started you will need sign up for an Email Service Provider (ESP) to handle this for you. We use Aweber as our ESP for all of our websites for a lot of the same reasons we use WordPress for our websites. It's easy to use, and it's one of the most widely used ESPs so there are lots of add-ons that you can use for free and then make it work specifically for what you need. Email is a great way to monetize you blog as well. You could do any of the monetization strategies from step 8 and put them in an email. This is easily the most effective form of monetization, if you do it correctly. Use your personal connection you have with your following to share something of value with them and they will be happy to purchase something that you share. Search Engine Optimization is a term used for building your website in a way that gets search engines (like Google) to rank your website higher in their search results. The higher the ranking, the more traffic you get. Google delivers over 3 billion search results a day and it's all free traffic to websites so the competition to be ranked at the top is extremely high. Search engines have extremely advanced algorithms that determine what order they show results. Their goal is to show results so that users can easily find what they are looking for and then come back to use them again. So it's important that you understand what the search engines want so you can build a website they want to show in their results. When a user types their search query (called keywords) into a search engine, Google displays the most accurate results, according to the search engine algorithms. Write about something that people are searching for - You can have this great piece of content but if people are not searching for it, then there is no way you will get traffic to it. Go for Long-Tail Keywords - For example, let's say you create a website about exercising and you want to create a new blog post about running shoes. You cannot expect to get ranked for a term like "running shoes." This term will be dominated by multi-million dollar companies. But maybe there is less competition for a term like "running shoes for men with wide feet." That is a more specific term that will be searched less (called long-tail term) but will likely have less competition and might be easier for you to rank for. Links to your website - Search engines rely on many factors to determine if your website is trustworthy. One of the most important factors here is other websites linking to your website. Search engines see that as a "vote" for your website. If your website was a horrible site, people would not link to it. So if you do not have links, search engines will think you do not have a website that other people will want to visit, and then will not rank you high in their search results. However, keep in mind that Google is very good at knowing when a link from a website is a real "vote" or not. Do not try to get links by paying for them or using a website that allows anyone add links. These will be flags to Google that could actually have the opposite effect on your website. The best way to get links that will boost your website rankings is to create consistent great content that other websites want to link to. Not all websites need to have an SEO strategy if your main plan is to put a lot of money into advertising, but most people do not have a lot of money to put into advertising when just starting out, so use SEO as free advertising. But keep in mind, SEO is typically the strategy that will take the longest. You have to gain the search engines' trust and that takes time. Your goal should be to get ranked in the top 10 of Google for specific keywords. Very few people go to the second page of search results and so anything higher than 10 is going to be almost no traffic. Unless you already have a following of people before you start your blog, the only people that will be reading your blog are your friends and family. You can't just start a great website and hope people will just find you. So you have to start advertising. Advertising cost is going to depend on a lot of factors so there is no way we could say, but there are ways to do this for free. The downside to free advertising is that it will take a lot of time but we understand this is the approach many people will take when starting off (both of us had very little to spend when we started so we understand). However, if you can put as little as $1 a day into advertising, it will help you grow. Social media - Facebook is one of the most talked about right now because it has the unique ability to target very specific demographics. What this means for you is that you can show ads to only people that you think are most likely to want to visit your website and/or purchase your product. This should make advertising cheaper but keep in mind this takes a lot of testing to get it right and you may spend a lot of money just testing. Pinterest is the social media site we have had the best luck with for advertising. They allow less targeting but it's still fairly new so there is less competition. Google Adsense - Google Adsense is similar to how Facebook works, in that it allows some great targeting, but it is used for advertising banners on websites, rather than on Facebook news feeds. There is a lot to learn when starting a website. Although we have tried to be very detailed in this guide, there is still a lot to learn. The best way to learn is to connect with someone in your industry that can help you. It won't necessarily be someone that you go to for every single question you have, but the person you might go to when you just cannot find an answer, or someone you can bounce ideas off of. This one can be overlooked but it is extremely valuable. However it can be a difficult thing to do as you start off. People tend to be very secretive and are hesitant to connect with an unknown and unproven website owners. Depending on the person you are trying to connect with, they may get 100s of emails a week from people trying to sell them something and they have to decide who is important enough to respond to. The other hard part of this is that you, as a new blogger, may not have a lot to provide to a more established blogger with a larger following. So you will have to find a creative way to connect. But our biggest suggestion would be to try to provide a large amount of value to the person you are trying to connect with and tell them what you can do for them that will have a large impact on their website. Forums - There are thousands of forums on the internet that are free to join and an easy way to start talking with other people. Join one that looks to have people you would want to connect with. Start by introducing yourself to the forum and then looking around where you might be able to provide value to someone and start up a conversation. Google Search - Search for websites in your same industry and look for one that you might be able to help out. You will likely have to try to connect through their contact page. Your success rate is going to be very low so this will take a lot of time. Come up with something you think could be very beneficial to them so that they want to email you back. Start a Mastermind Group - This would be a group of people that come together once a week, or once a month to discuss how their businesses are going and a group of people that everyone can bounce ideas off of. This could be an in-person group, over Skype, or on the phone. By forming this group, you can reach out to people with your plans and you might have a higher likelihood of getting responses from other bloggers. Once your website is started, create a page specifically to "sell" a visitor on how great it will be to join your mailing list and maybe even give them something free for joining. Put a sign up form on there and set up Aweber to automatically send that free gift over email once they sign up. Then start testing different advertising options for $1-$5 a day and see what works best for you. Find something that is working for you and then keep doing it. Lastly, reinvest your website earnings into more advertising to keep growing your following. It's key to get a good base of strong followers. As your followers grow, they will help you grow more. If you are like us, the thought of starting a new website is exciting and we can tell you that the entire process is a lot of fun. Make sure that you are enjoying it and don't do it just because you have seen stories of people making millions of dollars. Although that is possible, the more realistic goal would be to make a nice side income for a while and then turn it into a full-time job. And the most likely way to get there is by enjoying what you are doing. This process is also going to take some patience. Learning what works and seeing results can take a while. Both of us were able to quit our jobs but it took about 3 years for it to happen. There was a lot of hard work and patience in those 3 years, but we were able to get through those years because we really enjoyed what we were doing. We hope this was really helpful and that you have a lot of success with your new website. If you have any questions or recommendations on how we can improve this, let us know. Just sign up for any of the freebies we are offering in this guide and you can reply to that email. Over the years we have used a lot of tools to help us save time, save money, and monitor our websites. Here are a few of our favorites that you should get started with right away. BlueHost - As discussed in more detail in step 2, this is the best host for begginers, because it is so easy t use and they have free support. Google Analytics - This is a free resource provided by Google that allows you to track how many visitors you have each day, where they are coming from, track conversions, and so much more. You should get this added as soon as your website is live. Webmaster Tools - This is another free resource provided by Google. It's where Google will communicate with you about any potential problems you have on your website. For example, security problems, errors, and other issues that may cause Google to temporarily remove you from their search results until you get it fixed. It also allows you to track your rankings in a lot of different ways. Last Pass - This tool has saved us so much time and headache. It allows you to securely store all your passwords in one place and only have to remember one master password. If you add the add-on to Firefox or Chrome, it even automatically enters your usernames and passwords. They have a free version that is probably good enough for most users and a small fee to be able to use the app. 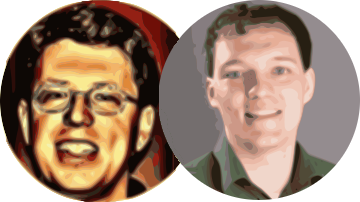 GIMP and Inkscape - These are both free photo editing tools. Drive - Another free resource from Google, Drive is perfect for staying organized and sharing documents with other people. You can create a Word-like and Excel-like documents and share them with other people. Then anyone who has access can edit the document. These files are then accessible anywhere you have an internet connection. They even have an app so you can get it on your phone. Skype - You can use Skype to chat, have phone conversation, or use your webcam to have a video call. Skype allows you to share documents, have multiple people on one conversation, and even share your computer screen so that everyone on the call can see your computer.